This has been a book that has kept me on the fence over how much I do or do not like it. While I have decided that I do in fact like it, I’ve tried to analyze what it was that made it difficult to like enthusiastically.Danielle Jones, known mostly as Dani, is a young woman who’s been dumped by her husband after she gave up her own work to put him through medical school. Starting over with plans to finish her degree in zoology, she has isolated herself from her previous life in Austin by moving to a log home near Tyler, Texas. She is set up to return to her college program and a job in a campus lab. However, the isolation proves more desolate than she’d expected, and the eerie sense of a stranger present in the woods following the discussion of people disappearing from what is now her property keeps Dani on edge even as she explores her new neighborhood and workplace.Dani’s work includes working with the famous Ophidian lab. It turns out that the former lab manager had owned her house. Dani is put off by the stories about students disappearing while they were on the property looking for snakes, but even more off-putting is when snakes start disappearing from the lab and turning up elsewhere. Dani wants to know what the connections are, if any, and she wants her newly-acquainted cop/neighbor/friend to help her find out. The sensation of being watched -- even stalked -- grows with every snake that disappears from the Ophidian -- and turns up on her property. The answer to everything turns out to be appropriately convoluted, and there is plenty of action-laden confusion at the end, which was pretty satisfying. 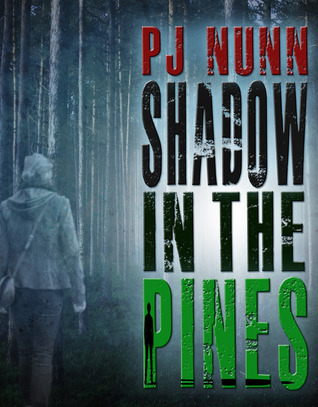 I think the problem I had with Shadow in the Pines was two-fold. Its scope feels narrow. We pretty much follow Danny all the time, not a problem in itself, but at this point in her life, she is work- and house-oriented. She is pulling into herself, protecting herself from the issues of her past and working hard for her future. While that is perfectly natural for this point in her life, it lost me as a reader. I wondered if part of it was an attempt on the author’s part to make the narrative more realistic. Especially as -- and here was my second problem -- most of the investigative procedures took place off-screen and out of the hands of the two main characters. While this is indeed more realistic, it takes away from the usual tension and excitement in a mystery. To be fair, this may be more of a personal quirk on my part than a failure on the author’s, but I think having other story-line and character arcs to fill in the places where Dani’s life is -- well, just life -- would have lent more realism and given us more to think about as the story moved along. Good read. Fully of mystery and suspense. P.J.Nunn - As with most things, PJ Nunn's career started out as something else entirely. She started out in retail then moved to property management. That led to teaching high school, then serving as a counselor and liaison to the local police youth services division. She also spent five years as chairperson of the Coryell County Child Welfare Board and spent years counseling abuse victims and serving law enforcement as a trauma counselor and consultant (something she still does today). When she moved to Dallas, a family illness caused her to leave a job teaching psychology at Dallas County Community College District to become a freelance writer, but found that a few favors she was doing for friends—writing press releases and setting up book signings—was better suited to her talents and her drives.In 1998, she founded BreakThrough Promotions, now a national public relations firm helping authors, mostly of mystery novels, publicize themselves and their work. The business is thriving and PJ is excited about the release of her first novel, Angel Killer. PJ lives with her husband some of their five children near Dallas, TX.